I just recently got this beautiful Penny Black cling stamp called Floral Thread, and wanted to use it with some fall-like colors. It was stamped in brown ink and clear embossed on shiny white cardstock, then I randomly sponged on some distress inks, before wrapping it with this lovely aqua ribbon and mounting it to my card base. The sentiment is from the Friendship clear set, and is a great one for all kinds of occasions. Cath at Moxie Fab World has got a week's worth of challenges going, all linked to PaperCraft's newest publication called Handmade Cards. For this first challenge, she wants us to use ready-made embellishments. I just received a big pad of Dear Lizzy Polka Dot Party papers, along with some dimensional embellishments made to go with them. The beautiful pad had a big sheet of chalkboard elements, so I trimmed out this one and then used some of the gorgeous peachy papers also in the pad, along with the pretty rosette from the embellishment set. All I had to add was the die-cut "you" and my card was finished! Once I'd decided on my design, the card practically made itself! Next I went digging into a box of embellishments, some from years ago, and found this lovely K&Company Brenda Walton Grand Adhesions floral embellishment. I thought the color combination of peach and lilac was so unique, so I looked through my paper pads and this Graphics 45 Secret Garden paper seemed perfect for it. The sentiment is from The Craft's Meow Potted Garden, stamped in VersaFine Imperial Purple, and I added an organdy dotted ribbon and a lacy punched border to the mix, along with a few pearls. So, here are a kind of CAS card and another that is kind of shabby chic - thanks, Cath, I was glad to put these embellishments to good use! 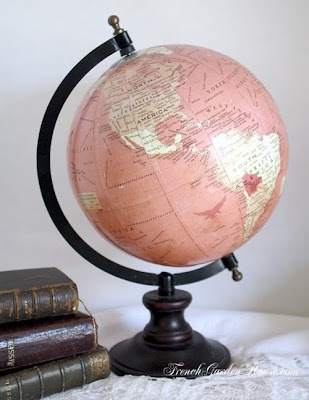 Welcome to another Anything Goes challenge at the Simon Says Stamp Wednesday Challenge Blog!! The Design Team are all using stamps sent to us by Art Impressions, and I think you'll really enjoy the variety of fun stamps that we were given! My stamp is called Penguin Joy, and it was fun to make my first Christmas card of the year! To finish I added my panel to a card base made from Pool layering paper, and punched out some snowflakes to add at the top and bottom for a little more dimension. to the Simon Says Stamp Superstore! Will you be a winner this week? This week you have 2 chances to win a fabulous prize !! Art Impressions are also sponsoring this challenge and will be giving this fabulous prize to one lucky entrant !! AND if you go over to the Art Impressions Facebook Page, click 'like' and leave a comment to say that Simon Says Stamp have sent you, you will be entered into a prize draw where you could win $100 worth of Christmas Stamps !! Woo Hoo !! I have a post at The Craft's Meow today - please come see my card there and leave a comment if you like it! Did you know that Penny Black makes stickers? 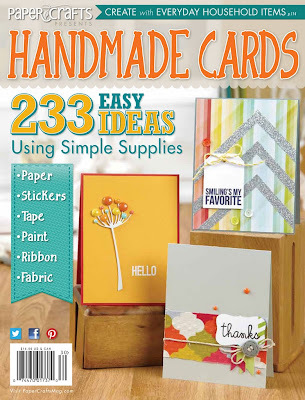 They are big enough to use for cardmaking, and they sure do come in handy when you need a card FAST! The main image on this card is from the sticker sheet called Scented Garden. I just mounted it to some ivory cardstock, framed it up in pink, stamped the sentiment, added some butterflies and pearls, and it was finished! Hope you'll consider these stickers to have on hand when you need to make something in a jiffy! 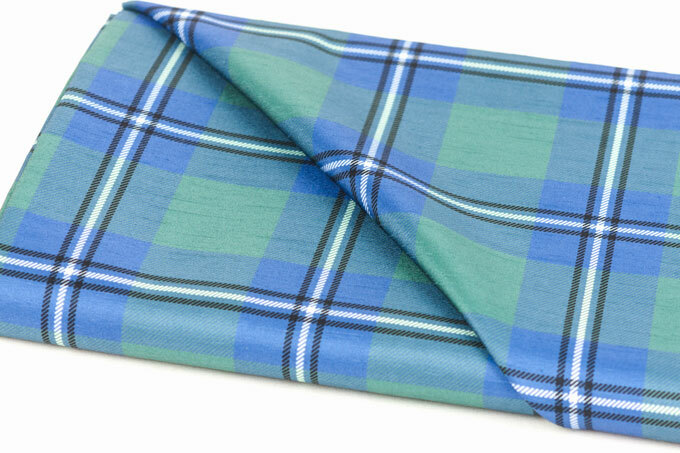 There are 63 different sheets in the Penny Black store, in any color you can think of, and for any occasion! Welcome back! Today is the reveal at The Craft's Meow Store of our newest stamp releases, and our traditional Design Team Blog Hop! You should have arrived here from our newest Design Team member, Larissa's wonderful blog. If you just happened across me, and want to start from the beginning, please go to The Craft's Meow blog, where there will be a list of the blogs participating, and from there you should be directed from one blog to the next. 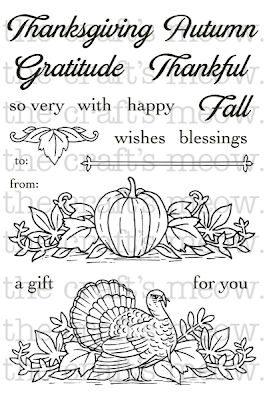 My first card for you today uses 2 of our new stamp sets, Rustic Greetings and Speaking of Fall. 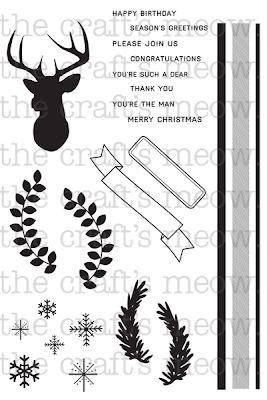 All of the new stamps are now available to order at The Craft's Meow Store! Don't forget that our special stamp set this month is Speaking of Fall - you can have it for free when you spend $60.00 in our store, or you can buy it separately, if you wish. AND 1 lucky person will win all FIVE sets by leaving a comment on each of our blogs along the hop! You'll have until 8:00 PM PDT on Monday, September 23 to leave comments, and Lisa will draw a random name from one of our blogs as her winner, and announce that name on the blog September 24! Now hop along to Nina's blog. Thanks for visiting! 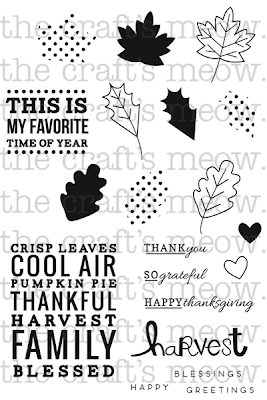 Welcome back for our final preview day of our newest release of stamps at The Craft's Meow! Today we have another set from Clare called Little Angels, our first Christmas set of the year! I used one of the darling angels and just one of the many sentiments Clare has included in this set. I paper-pieced the angel, gave her a heart to hold, and added some gold on her wings and halo. Would you like to win this set? Just leave a comment at The Craft's Meow Blog by 8:00 PM PDT tonight and a lucky random commenter will take it home! The winner will be announced tomorrow, during our traditional blog hop, where we showcase more cards using all of the September releases! Hope to see you then! Welcome back again today for a peak at 2 more of our newest stamp releases at The Craft's Meow! My first card uses one of 6 chalkboard sentiments that Nina has designed for her Chalkboard Faith set. This is such a powerful thought: God knows what we need whether or not we can even put it into words! That brings me great comfort when I am distressed. I stamped this in picked raspberry distress ink to match the lovely flowers in the background and added a coordinating paper bordered in green. I thought it needed just a little something else, and went hunting in my stash and found these flowers that were a gift. Don't you just love when everything pulls together?! Everything is from the stamp set, except the alphabet dies. This is especially appropos for my Dad, as he has one of these deer heads hanging in his rec room at home! So I'm thrilled with how this turned out! As always, Lisa will be giving away a copy of each of these sets to a random commenter at The Craft's Meow blog! Make sure you hop on over there and leave a comment by 8:00 PM PDT tonight, and she'll draw 2 names, each of whom will win 1 of these sets! The winner will be announced tomorrow as we unveil another of our new releases for this month. I hope to see you then! If you're here to see my TCM card for our new September release at The Craft's Meow, please scroll down 1 post, or click HERE. Thank you! Welcome to the Simon Says Stamp STAMPtember® Challenge Group Blog Hop! Simon Says Stamp was founded in 2002 with an interest in exclusively selling rubber stamps. It didn’t take long until we realized we couldn’t stop there. During the past 11 years we celebrate rubber stamping in its full glory by giving access to people around the world to a one stop shop. Rubber stamps still remain the heart of our business and we are celebrating by hosting a “STAMPtember®” event intended to inspire, educate, and celebrate the greatness of rubber stamping. Part of the enticement of rubber stamping is that stamps can be used in creating or complimenting ANYTHING! From stamping dates on bank documents and postage parcels in the early 18th century, rubber stamping has dramatically expanded to include card making, life documenting, art journaling, scrapbooking, mixed media and many forms of altering and expressing art. To celebrate the 4th annual Simon Says Stamp STAMPtember® event, we're 'hopping' along sharing some great projects featuring the new STAMPtember® product releases! It's one of the biggest releases to date and features new stamp sets, dies, flair and stencils!! My favorite new releases are the Flowers of Whimsey stamps and accompanying dies - I love that we can stamp or paper-piece with these stamps, or mix both! AND I adore the font on the Handwritten Greetings set that Kristina Werner designed!! Both these sets are at the top of my wishlist! As always Simon Says Stamp will be giving away a $50 voucher to shop at the fabulous Simon Says Stamp Store! You should have arrived today from my teamie Cheiron's blog. For my first card I used the new stamp sets Lots of Dots and Sketchy Banner Greetings stamp and die set. I guess you could say I took the title "lots of dots" seriously!! ETA: I'd like to enter these first two cards into the MFW Handmade Cards Week Color Media Challenge, as they both use lots of colored inks. I love plaid, and for my last card I decided to make my own in fall colors. Having lots of stripes thanks to several Simon exclusive sets, I was able to customize my plaid. I used the double bold stripe and the dainty scallop from the new Nautical Borders, and made my tag from Tag Sayings. Thanks so much for visiting my blog today! The next stop is my talented teammate Mandy! The hop begins at the newly designed Simon Says Stamp blog, so if you encounter any broken links while hopping you can head back there for a full list of participants. I made a mask with a circle cut out in the center, and then stamped the solid leaves in lots of fall colors, and then the outline leaves in brown ink. After removing my mask, I stamped the sentiment. Couldn't be easier, and I love the result! ETA: I'm entering this card into the Moxie Fab World's Handmade Cards Week Color Media Challenge, because of the variety of colored inks I used. Would you like to win this stamp set? Just leave a comment at The Craft's Meow Blog before 8:00 PM PDT this evening, and Lisa will draw a random name as her winner and announce that name tomorrow when our next stamps are revealed. I hope you'll come and visit me tomorrow - we're showing off TWO new sets! Clare makes making a card really simple with this set - I just stamped one of the borders, colored it with markers, put together a sentiment with a few of the many word options she gives us, and it was done! Please visit The Craft's Meow Blog today to see all the other fantastic samples that my team-mates made using this new set, and while you're there, don't forget to leave a comment by 8:00 PM PDT for a chance to win it! And please come back to visit me tomorrow as we continue the previews all week of our new stamps! Thanks for visiting! Just playing around with my new Doodlebug fall Washi Tapes. Thanks for visiting! I'll see you tomorrow for the beginning of our September stamp releases at The Craft's Meow! Here's another card for the All That Glitters challenge at Moxie Fab World. This time I was inspired by this example that Cath gave us. LOVE that peach with the gold! My peach is a hair darker in real life, and it really photographed even darker. I decided I wanted to emboss my favorite Hydrangea stamp in gold, and I put it on a tag stamped with Musical Collage. The sentiment is from Flourishes Picking Wildflowers. And can you believe that just as I was about to put these elements together, my mailman brought me a box from Cath's "Moxie Magical Prize Drawer" that had this Dear Lizzy gold glittery clothespin in it! How's that for timing?! Love, love, LOVE the Lawn Fawn Into the Woods papers that are in this kit, and the sweet little tree stamp and lots of accompanying stamps to decorate it with! So I stamped the tree and the multi-leaves, then went back in with the single leaf stamp and added more colors to the leaves, using the paper that I included on my card as a guide: 2 blues, green, orange,and barn red distress inks. The sequins, also from Lawn Fawn are just too cute not to use, so they were added after I put the rest of my card together. Don't wait to order this CardKit - I guarantee you'll be kicking yourself when it sells out, as I know it will! The current challenge at Moxie Fab World is what Cath calls All That Glitters is Gold, and we are to use gold on our projects. I thought I'd incorporate it into something fall-like, and in looking through my stamps I found a purchased card that I had saved for inspiration, so I followed its design, though the colors aren't the same. Starting with a beige card stock, I chose this oak leaf medallion design and a sentiment from the same set (a clear set by The Paper Company Studio that I found several years ago at JoAnne's) and stamped them, then heat-embossed them with Ranger's Super Fine Detail Gold embossing powder. Then I simply trimmed it out, framed it with some gold vellum, and put it on my card base that had been dry embossed with this Cuttlebug folder called Victoria. It's hard to get a good picture of the gold. Cath gave us some gorgeous examples, and I can't wait to see what everyone comes up with! All of the images and sentiments in this set are little, so it's perfect for a little gift enclosure or tiny card like this one. I simply colored the vase of flowers, stamping the flowers a second time and popping them above the surface, and then surrounded the little panel with some scraps of design papers that use some of the same colors. It's fun working in miniature! Hello, and welcome to another Wednesday challenge for Simon Says Stamp! This week our theme is Embossing, either wet or dry, and the DT are using Cuttlebug or Sizzix products in our creations. With all of the beautiful embossing folders that we have to choose from, it is one of my favorite things to use on my cards. I made 3 cards for you today, all using embossing folders. Here's my first card today, using faux letterpress. I inked the front of the embossing folder before putting my paper inside, and that gives a greater definition to the embossing. I'd like to enter this 2nd card into the Flourishes Make a Good Impression challenge. And for my 3rd card, I used a technique I learned from Lisa Spangler, embossing over washi tape and stamping. Our sweet Heidi has provided another $50.00 gift voucher for the random winner of our challenge. There are so many Embossing folders in the Simon Says Stamp Store, which would you choose if you won? The Penny Black Blog is featuring a different color combination every day this week, and the challenge is to choose one of the combinations and use it as an inspiration for a card using at least 1 Penny Black stamp. I repeatedly stamped only the solid branch and the leaf cluster from Tree-mendous clear set, then colored in the leaves with my markers. In order to bring in that teal/turquoise color, I mounted my panel on a card base of that color, and added my sentiment (also from the same set) in a die-cut circle. This one uses Nature's Best and Indian Wheel for the background. After stamping and coloring the bird image, it looked too stark against the white background, so I overstamped Indian Wheel using old paper distress ink. Then I stamped the same thing with Splash ink on a pool notecard. I know there isn't a sentiment on this one. I have very few Penny Black Christmas sentiments, but that will be remedied very soon, and I'll add one from the newest catalog when it arrives. The contest is open from now until September 27 at 11:59 PM Pacific time. You can enter as many times as you want, and of course there are prizes up for grabs: 3 winners will receive a prize package each valued at $25.00!! To see the other color combinations, tune in to the Penny Black Blog every day this week of Sept. 9 - 13. Please visit me at Simon Says Stamp!